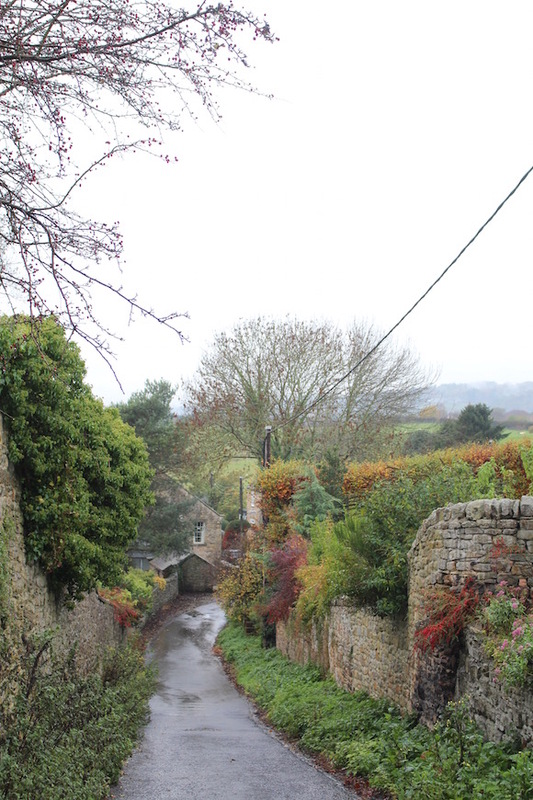 Autumnal mini breaks are brilliant... Escaping the rat race, sipping wine by a roaring fire and cooing over lush, rural scenes. Just don't forget to pack your umbrella because ohmydays, can rain it! 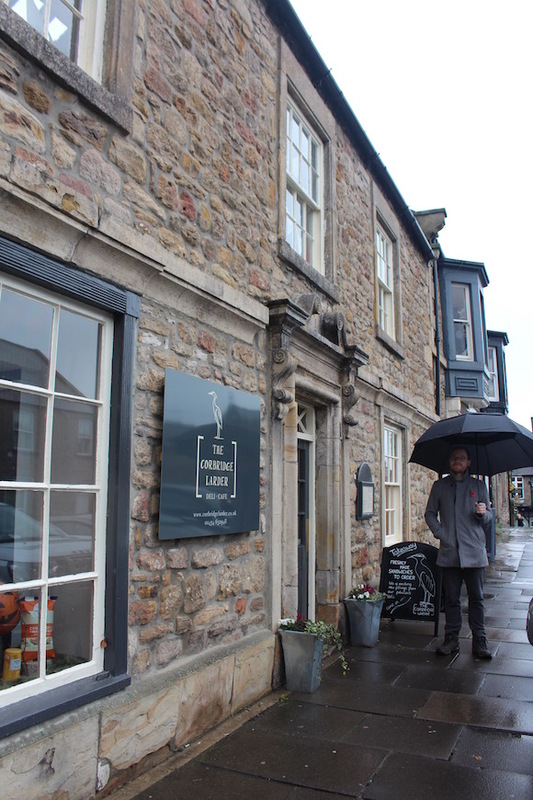 We loaded up the car with coats and boots before heading to the historical town of Corbridge, in Northumberland, for a very blustery weekend away. 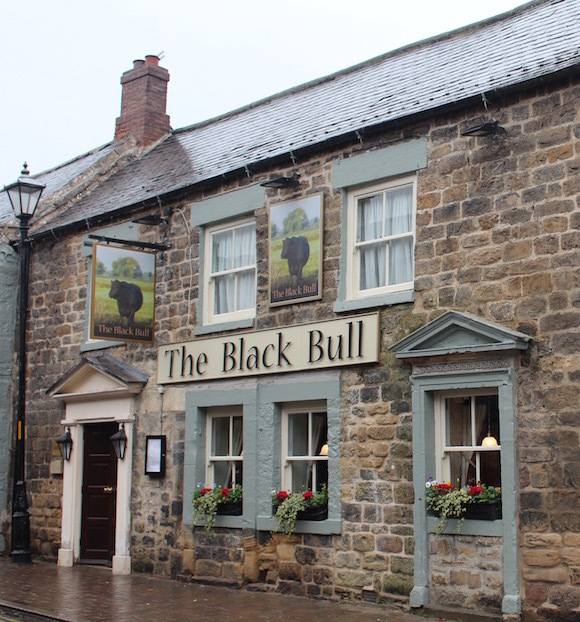 Arriving after dark, we plonked down bags and scurried to the Black Bull in search of food. Thankfully Corbridge is on the miniature side so it took us all of two seconds to reach our destination. Which apparently is just the right amount of time to work up a raging hunger. I was perched in front of a towering portion of fish and chips in no time. Awaking from a chip coma the following day, we relaxed over coffee and a Northumberland full English for breakfast at our hotel, The Angel of Corbridge. With crackling fires, a pretty breakfast room and cute touches like a window seat in our bedroom, it's a great place to stay. Fuelled up once again, we headed out to explore. 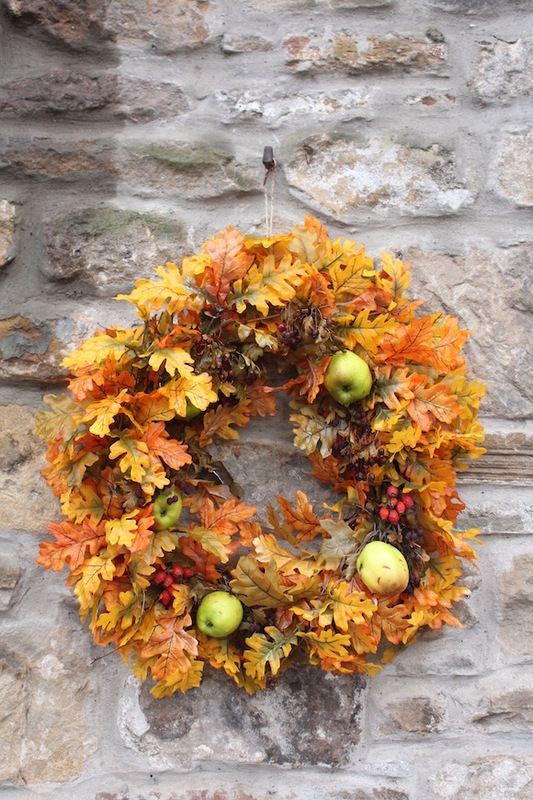 It turns out that Corbridge in Autumn is INCREDIBLY FESTIVE. 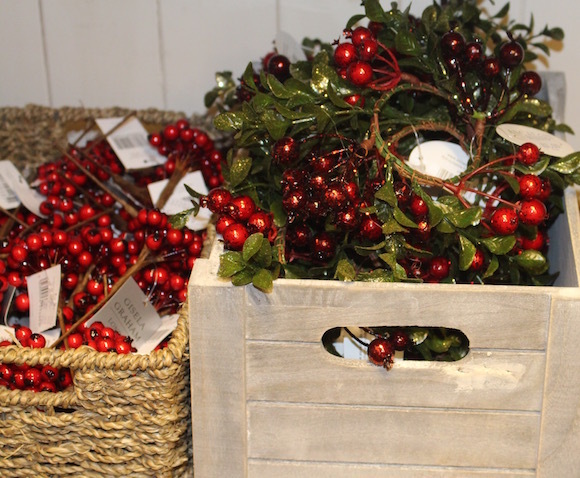 The quaint, boutique shops are packed with seasonal trinkets and I defy you to come away without a purchase or three. 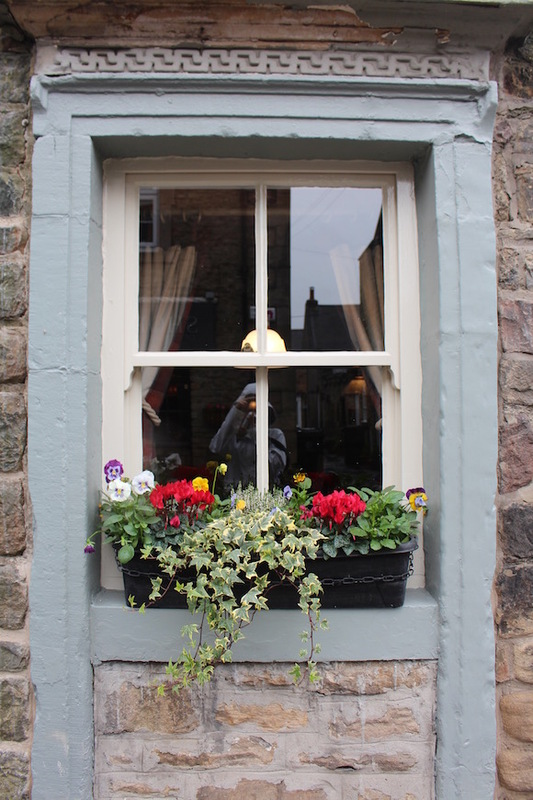 For lunch, we were enticed inside by the tantalising window displays of the Corbridge Larder. The friendly staff will make you up any sandwich you'd like from the goodies in this jam-packed deli. 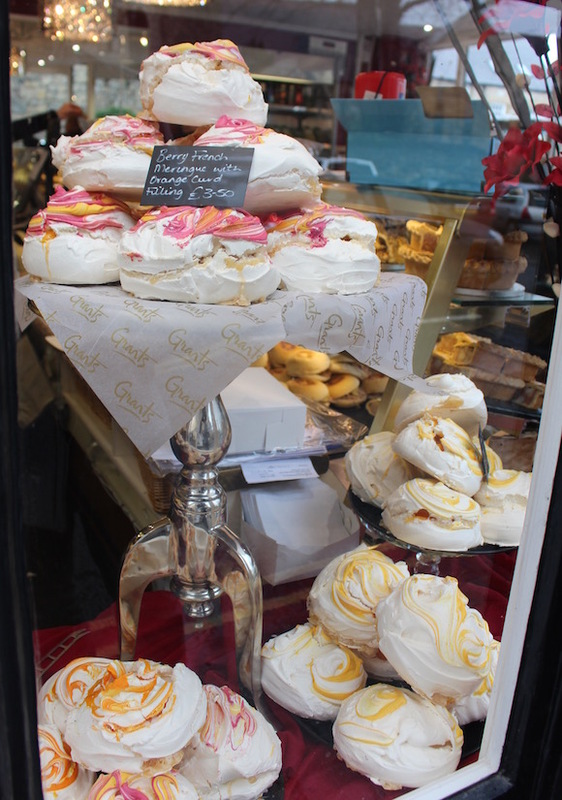 I was quite keen on a massive meringue from Grant's Bakery for afters because they looked SO pretty. But we had a wedding to go to so I made do with a snap. After partying all night and devouring another delicious breakfast the next morning, we went for a little stroll. 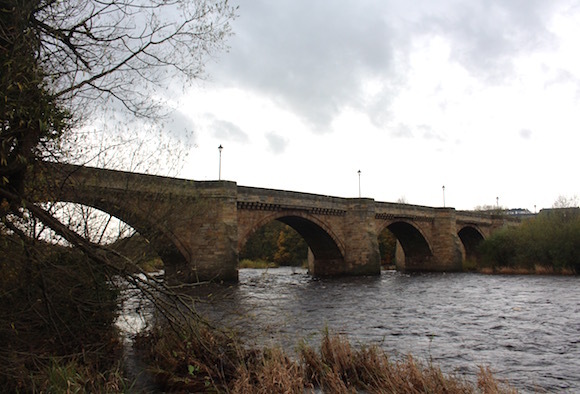 Cross the Tyne via this 17th century bridge and look back at Corbridge. Maybe pretend you're in a period drama. With the cobwebs blown away, we waved goodbye to the beautiful north and headed home to round off the weekend with a mulled wine. Pack some walking shoes. Not wildly glamorous I know, but if it's wet you'll want to be able to explore without worrying about your kicks. Corbridge is under 30 minutes from Newcastle by car and there's a bus service to the city too, if you need an urban fix. 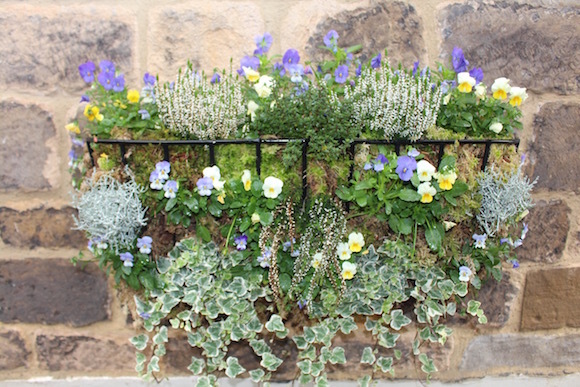 Otherwise use the town as your base for exploring the beautiful countryside around Hadrian's Wall. Skip the A1(M) around Newcastle and drive back south via the A68 to Darlington. You'll miss the Angel of the north, so check her out on the way up, but this stretch is beautiful in places and you get to giggle at amusingly place names like Wallish Walls. For realz.